Are you tired of traditional Corporate Giveaways? Are you searching for just the right prize for your fair competition? Are you looking for a great pick me up for your staff? Roll D6 Games is a game design studio based in Finland which in addition to its own board game designs produces remakes of classic games complete with customized graphics. Custom corporate games are suitable for a vast array of different functions within a company. unique personalized gifts for the staff and their entire families! These custom games are suitable for so many different applications as the games are truly long lasting, and your brand will forever be imprinted into the players’ minds with each and every play. 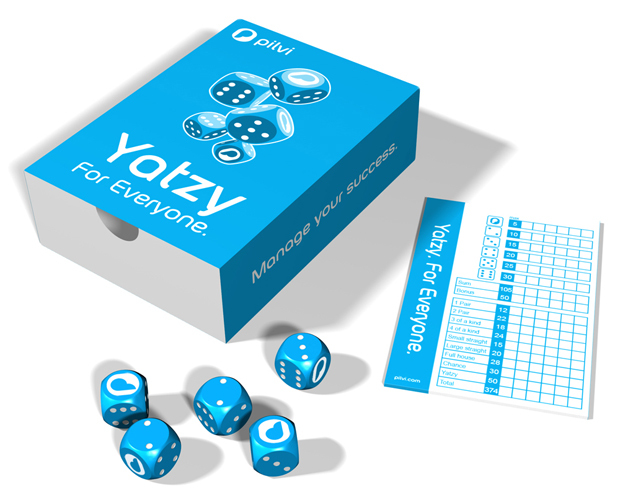 We have produced two completely ready custom game concepts in the form of a Yatzy game and a Domino set. With careful, detailed pre-planning we have been able to produce highly personalized products at an affordable rate. If you would like your custom game to be based on a different classic public-domain game, please do not hesitate to contact our sales team and we will dream up a concept that works for you! A personalized business gift sure to bring joy to the recipients’ entire family, with every play you ensure your brand will make a distinct lasting impression on the entire group of players! We product a Yatzy game complete with custom branded packaging and rulebooks. One face of each die is imprinted with your logo! In addition the dice will be either your company color or a classic white. We provide a turnkey system which includes all different phases of the project, we deliver all the graphic material to the client, including the logo and all customized material we produce. Domino is a fun game for the whole family but provides added strategical possibilities and depth suited for a more complex audience. Domino has been played in China since the 1200’s, there are also many different variations of the game. As with Yatzy, Domino will be strongly branded around the style of your company. 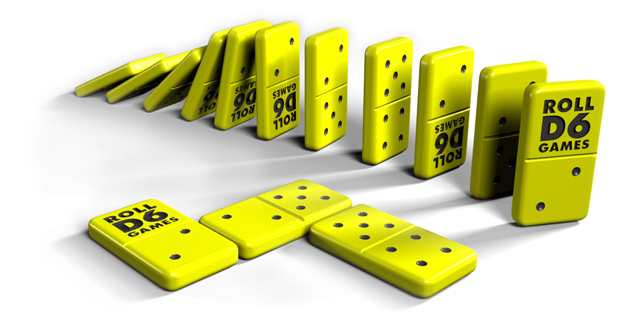 One or more Domino faces can be replaced with your company logo or trademarks. Customized game production includes all the different phases of the project from design to production and quality control. Prior to the beginning final production the client will be presented with a 3-D rendering of the final product and its components. With the help of drafts provided we make sure you are completely satisfied with the final product. Do not hesitate to contact us if you have any further questions. If your company / organization is interested in creating a board game based on your idea, please contact us. Are you planning to have a promotional game at an important event? Please note, that the games are physical products, that take some time to plan and process. Depending on the complexity of the final product, our estimated time of delivery is 3-6 months from approval of your order. This time is spent to design a visual outlook fitting with your brand, and to physically print the product. The wait is well worth it, as the result is something much more than just a business gift!